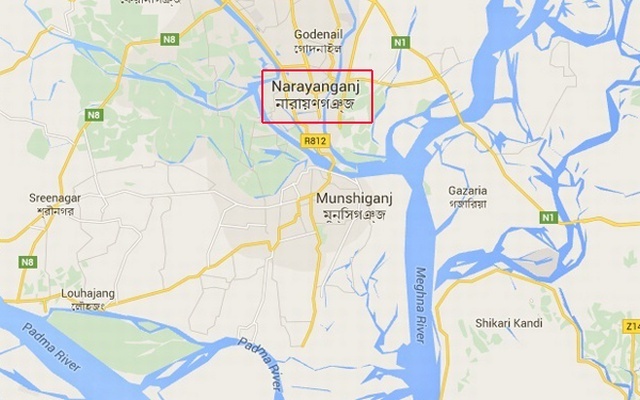 Robbers looted valuables from three shops killing two night guards in Lakxamkhola madrasa stand area in Bandar upazila of Narayanganj early Saturday, UNB reports. The deceased were identified as Raihan Uddin, 65, son of late Abdus Samad Miah, of Laxmankhola area and Abdul Motaleb, 55, son of late Hobi Miah of Chourapara area. A gang of robbers swooped on the shops and hit two night guards with a brick, leaving Raihan dead on the spot and Motaleb critically injured, said Shahin Mandal, officer-in-charge of Bandar Police Station. Later, the robbers looted valuables worth Tk 26 lakh from ‘Satata Battery Mela’, Satata Battery Servicing’ and ‘Bismillah Battery Store’, claimed the owners of the shops. Injured Motaleb was taken to Dhaka Medical College Hospital where he succumbed to his injuries.